Keeping both partners happy when one finds a new passion is an age-old dilemma; even Penelope stayed home in Troy when Ulysses sailed off. 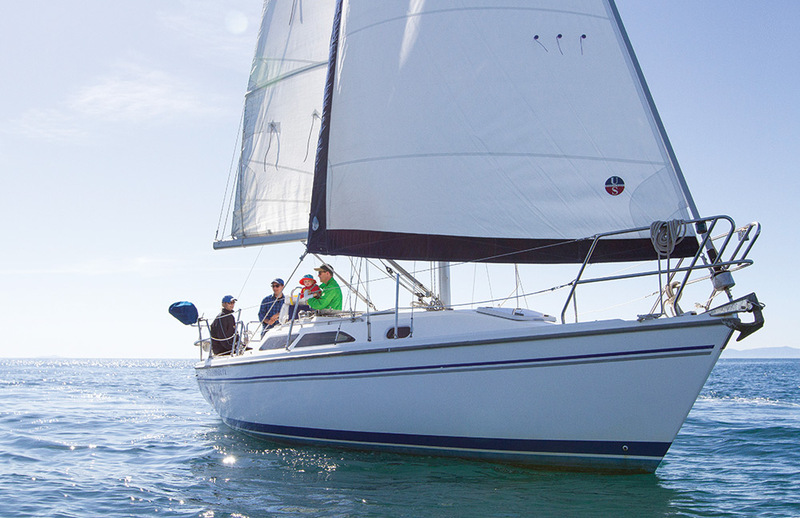 So often, one partner gets hooked on sailing, but their companion doesn’t; one has a boating background, while the other’s water-based activities are limited to the bath. 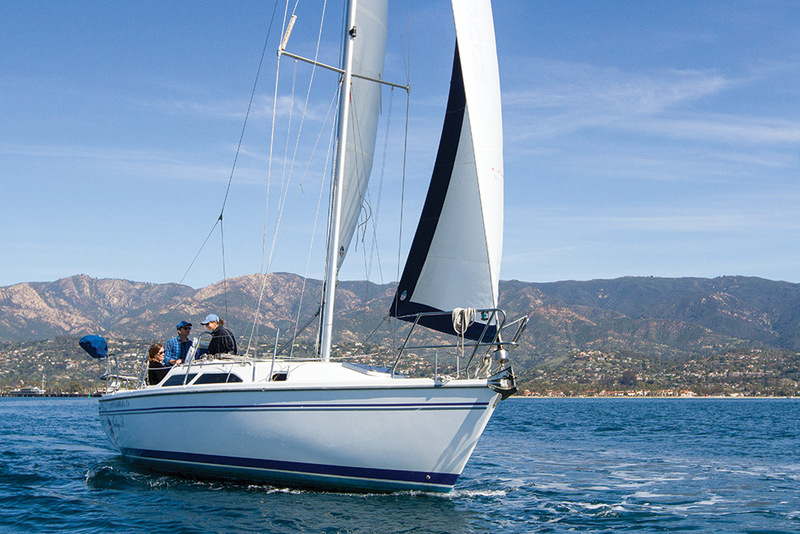 If you’re having a hard time getting your loved ones into sailing, now might be the time to sweeten the deal. Sailing schools exist in every beautiful corner of the world and who can turn down a learn-to-sail vacation in paradise? Joshua Caditz was preparing for his solo sail to earn his American Sailing Association 103 certification, at the Santa Barbara Sailing Center where the fun and sun of Southern California mingles with the laid back attitude and stunning scenery of the Central Coast and t	“I can’t imagine a better place to learn to sail; it’s stunning here,” said his wife Anna Fortner, who is along for the ride with their 18-month-old daughter, Wren, in tow. It’s no secret, Anna said, that Joshua is trying to cajole her to learn to sail too. Joshua’s goal is to eventually take a sabbatical from work and do a yearlong cruise, “maybe even something as big as around the world,” he said. And Anna has been warming up to the idea. Although it was March, the day was balmy. The wind blew a gentle 8 knots, and the water was flat except for the occasional splash of a curious sea lion. Anna and Wren donned matching ear-to-ear smiles. Joshua and Anna have discovered what nearly one million foreign visitors yearly know—Santa Barbara is a vibrant, sophisticated city in a spectacular setting with an international film festival, world-class wineries and cuisine. The Mediterranean climate promises a reliable breeze, and sailing is a year-round pleasure. SBSC is a two-time ASA School of the Year. Tucked in near the entrance of the charming harbor (and convenient to the Amtrak station) it’s an easy stroll beneath the palms to the pier, and Funk Zone, Santa Barbara’s warehouse district, with wine tasting and chic eateries. The school has a flotilla of boats from 22 to 50 feet, offering ASA certifications 101 to 106. “Our programs are hands-on, to help people see it’s an accessible sport—not this big mystery,” said SBSC Manager Ian Fitzgerald. The uniformed staff is friendly and efficient, and the boats immaculate. Once baby No. 2 arrives this summer Anna said she will be back, and “absolutely will take some instruction.” Score one for learn-to-sail in paradise.